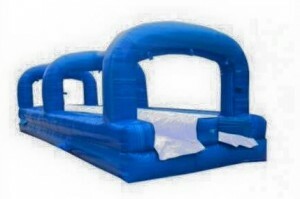 This inflatable rental is perfect of for summer parties when the weather is nice and warm. The kids will get drenched while sliding across this nearly 40 foot long slip n slide surface. Combine with other inflatables to receive discounts and keep all the kids entertained for hours.